For anyone who writes copperplate, engrossers’ script, or ornamental script, the category of fine and flexible nibs will be of most interest. Knowing the types of nibs available, past and present, will help IAMPETH members make a better buying decision for that day when a nib comes on the market. Nibs surveyed here are flexible, but not nearly as flexible as the fine and flexible penpoints we looked at in the last issue. The following represents my own perspective on this important question and how it applies to the form of script I practice, namely Engrosser's script. My approach to practicing script can be applied to almost any area of endeavor such as sports, art, etc. that involves practice and learning. If you are after smooth shades as is most common then you will need to make the adjustments described below. There are several styles of oblique penholders available on the market. This article will address how to set the angle and stabilize the flange on these types of holders. The ultimate practice tool short of ink and pen, the oblique pencil is an instrument whose time is way overdue. Most calligraphy teachers aren't sure what to do with us lefties and I almost feel guilty when I walk into a classroom and admit that I'm left-handed. This is what I’ve learned after 4 years of putting pen to paper. 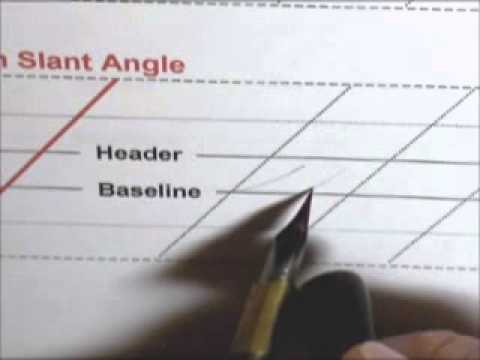 Selecting a nib because a Master Penman uses it and not because it fits your writing style can become a costly mistake. 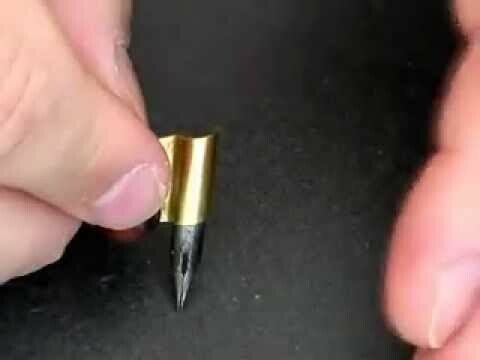 Here are some tips on finding and selecting nibs that best fit your writing as you want it to look. 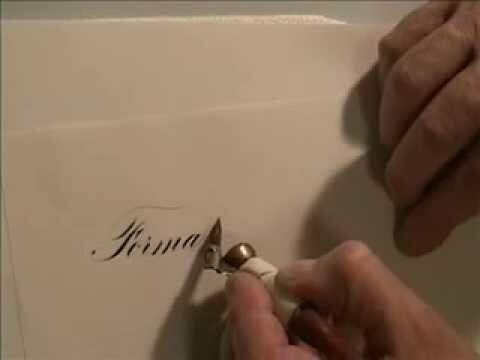 The following is a compilation of posts about left-handed calligraphy taken from Cyberscribes, a Yahoo Discussion group. The under-utilized crow quill can yield surprising results for the copperplate and spencerian enthusiast. In some of the most exciting nib news in more than a century, D.
Two styles of pointed pen calligraphy that have been enjoying a resurgence in popularity are Copperplate and Spencerian scripts. 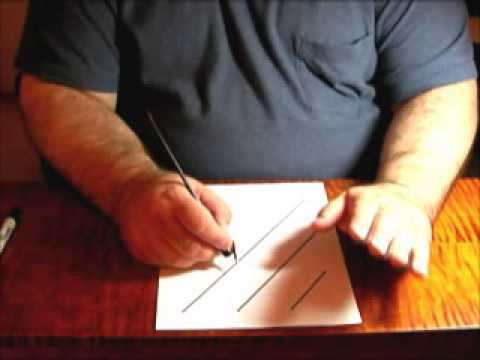 In this article I will try to demystify the oblique penholder and explain why it is so successfully used for script writing.